Our Modest Gaming Build is built around the Ryzen 5 1600. Using the stock cooler you should be able to achieve moderate overclocks on this unlocked processor. We paired the R5 1600 with a parametric list of B350 motherboards that supports up to 64GB of DDR4 memory, 6x SATA6 devices, and front panel USB3.0. For this build and most machines outside of the top end enthusiast realm we opted to go with 8GB of DDR4 memory. The parametric filter finds the best price on 8GB kits of memory that are within AMD’s recommended specifications. We've limited it to DDR4-2800 and DDR4-3000 as Ryzen CPUs scale well with higher frequency memory. At the current time, using memory rated over 3000mhz is not advised without doing extra research as DIMM support can be hit or miss. AMD is working on releasing additional BIOS updates to add better compatibility for higher frequency memory. Our storage choice is also based on parametric selection criteria – 2TB and 7200rpm are our standard recommendations for builds that incorporate a mechanical drive. We've left out an SSD due to rising prices on GPUs but if you have some extra room in your budget you can pick up a 240GB drive for around 80 dollars. On an 800 dollar budget, we would normally recommend the AMD RX 580. Unfortunately, due to a recent surge in cryptocurrency mining the availability of RX 570s and 580s is extremely low. As a replacement, we suggest using the Nvidia GTX 1060 6GB edition. The performance across most games will be similar to the AMD offerings. We've created a parametric filter to show you the lowest priced, full sized GTX 1060 which will be powerful enough for most AAA games. All of the components are housed in the Fractal Design Focus G Mini MicroATX mid Tower. This case is an affordable option that has front panel USB3.0, room for full size graphics cards, and cutouts in the motherboard tray for easy cable routing. For our power supply, we're using a parametric selection of well-reviewed fully and semi-modular units, all of which will provide more than enough power for this system. What settings would this run Players Unknown Battlegrounds on consistent 60fps? Is Ryzen 1600 good for recording games and streaming? Sorry, but that's not a very good recommendation. If you want to save your money, buy a Ryzen 5 1400 and overclock to essentially turn it into a 1500X. Buy the 1500X if you do not want to overclock, or are uncomfortable with overclocking. If the latter, I highly recommend a video Paul's Hardware did on easily overclocking Ryzen 5 processors. How would this pc handle streaming games, like what could I put game settings at and have a reasonable quality for the stream? Ryzen chips are really good for streaming and recording due to the amount of cores in the chip. The games should not drop frames while streaming or recording. Would this pc build be likely to run virtual reality experiences like the HTC Vive well? Fractal design define mini c? Corsair Carbide Spec-04. Affordable and pretty good looking. Define C. Great for water cooling. If you want tempered glass, get a Meshify C. Literally the Define C with a mesh front and a tempered glass panel. Can thus build play with good fps on games like Rust, PUBg, GTA5 and etc? Depends on the settings.Also,get 16gb if you want to play PUBG. I think he means "16GB of RAM". No,16 gigabytes of ram in the form of memory sticks for your proccesor.Will you be building the computer or someone else? Btw wgat do u think about this pc build i chose the parts awhile ago https://ca.pcpartpicker.com/list/zMJjM8 Can this play games like rust or pubg or some other games with good fps? Get a better power supply.You can check jonnyguru for some good power supplies(he also reviews bad ones but in the end of his articles he rates them.Pick one with 9 or higher score).Also if you can get the same graphics card but maybe with two fans.Two fans=better cooling=more headroom for overclocking=more fps.Also tell ke what resolution your monitor will be and what settings you want to play the games in. Would the downgrade to a 1060 3gb be a huge difference? Not too much when using 1080p and high/ultra settings, maybe a drop n 5-10 fps at MOST, but upgrading to the 1060 6gb will be worth your time. This is exactly what I am debating too! Can you expand on why it would be worth getting the 1060 6gb? The 6gb is going to be very helpful in the future for future AAA games that will soon be a requirement but if you can save the bit of money it would help you greatly in the future plus it doesn't seem like too big of a difference but once you get into the GPU intensive games it will be, so in my personal opinion I would go for the 6gb but if you are tight on money go with the 3gb, but be prepared in a couple of years for needing an upgrade. Hope this helps! So I am very new to building a PC and this would be my first try doing so. Would this be good for playing overwatch and other high quality games with no lag and high FPS? Switching from XB1. Just wanna have a better experience with gaming. In the GPU description it says that this can handle most AAA game titles. Overwatch and other recent games should work great on this PC. I am looking for a gaming pc that has a high fps to be able to play GTA 5 with mods, Player Unknowns Battle ground, and maybe colony survival, and some other small pc games. is this pc good enough to support all of those games? For GTA 5 you either go balls to the walls max settings and mods and get 35-40 fps or install not a hole lot of mods and high settings and get around 60 fps.For PUBG,the game is poorly optimized at the moment,but I would also reccomend 16 gb of ram,since benchmarking computers with 16 gb show over 8gb of ram usage and if you also account in the background applications,16 gb is a must.But other than that,I belive you're good to go. Can this play gta v high 45-60, cities skyline, forza? 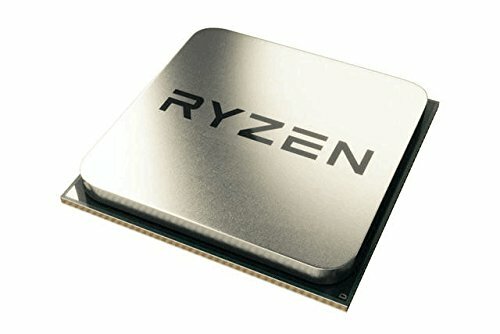 I have a cheap CPU so would an upgrade to the Ryzen 5 1600 reduce that? -Get a new hard drive or upgrade to an ssd or an m.2 drive -Ryzen cpus are famous for having low usage,so getting one would solve that problem,but first make sure that you get the right motherboard as well as ddr4 ram. -For the ram I didnt understand what you have.If you plan on getting Ryzen get 16gb of ddr4-2800(+) Mhz ram and your head will be calm for a very long period of time. -Make sure that you are running the games that you play with your gtx 1060 and not with the integrated graphics of your cpu.With nvidia gpu you rightclick on the game that you want to play and there should be an option for you to choose with which graphics card to run it.Always choose the gtx 1060. I dont there should be any problems,just the building process will be different. It's not a dumb question,but it is non completed.You should also mention the manifacturer because if you dont saying b350 with some numbers and letters doesnt actually give any info,apart from the fact that the motherboard has a b350 chip for amd ryzen processors.I would advise you look up each individual motherboard and see how it performs.The only performance that a motherboard can give you is how cold it is(which allows for more overclocking)so look for features like usb 3.1 which you need. Sorry I guess I want clear all three of those motherboards are the ASRock and they all look the same, and they're all called the same thing except for the differences I noted in my comment. I was just wondering how those three motherboards are different, which will preform best, and which is the best one to buy for this build. Again,google each individual motherboard,go to Asrock's website for each and look at the features and pick which one would cover your needs the most.If you don't care about features,you might as well get the cheapest one but if you have no usb 3.0 or 3.1 ports,a crappy slow ethernet and a bad quality of sound don't blame me. Which SSD card would you recommend if I wanted to add one on this build? I wasn't able to find "Reliabld" Brand through google. Is this a typo? Thanks in advance. I believe he meant a "reliable brand". I'm thinking about buying this and to save costs, assemble it myself. Is there a video tutorial of assembling with this particular case? I could probably figure out how to do it by reading the manual but it would be so much easier. Right now in this build is the fractal desing g matx.Because its a fairly new case there shouldnt be too many guides,but look it up on youtube and see what you can find. I guess I'm also a bit curious why someone would purchase 2x4GB memory vs. 1x8GB memory. Is it just based on availability and price or is there a different reason? Availability and pricing for 2 x 4GB and 1 x 8GB are generally about the same, but depending where you live and current pricing there, those aspects might favor one or the other. The biggest reason to go with 2 x 4GB is the option of a dual-channel configuration instead of merely single-channel. This can bring potentially sizable benefits in games whenever you are CPU-bound, varying from game-to-game. See here and here. Would expanding to 2 x 8GB also give you that same dual- channel configuration as 2 x 4GB? Yes, as long as they're in the correct slots (same goes for 2 x 4GB). Would I be able to run Overwatch with relatively good settings using this build? Quick question, I'm upgrading the memory to 'Corsair - Vengeance LPX 16GB (2 x 8GB) DDR4-2400 Memory' and was wondering if I need to buy some more fans? I know it comes with 2 but do I need another one? Also should i get a better cpu cooler or just stick with the stock one? That would be a downgrade for memory. I wouldn't purchase less than DDR4-2800. The Motherboard says it only supports Memory Type DDR4-2133 / 2400 / 2666 / 2933 / 3200. Wouldn't that be an issue as we're getting 2800 RAM? I saw some uncertainty on Amazon about using 3000Mhz ram with this motherboard? As a novice (concerning over clocking) wanting to upgrade to 16gb of RAM should I settle for 2800Mhz ? This might be a silly question. Is there a similar or equivalent graphics card that has two DVI ports for monitors? I already have two monitors with DVI connectors, and it looks like this graphics card only has one, but then also HDMI. I'd simply use an adapter, but I'd be concerned about the weight of the cord on such a small port like the HDMI. An adapter will be fine. Very few cards come with dual DVI anymore. Nope, all modern motherboards come with built in audio. Yep, unfortunately due to cryptocurrency miners stock and price are wildly fluctuating. I'm currently saving up for a $1000 computer and every day I see new prices for them. I once saw them at $304 so I think I'll buy it once it goes back to that. But then it will just sit in the box while I save up for the rest of the computer. So I'm not sure what I'm gonna do. And if you are wondering the computer I'm gonna get, just look at my Saved Part Lists and there are 2 for Intel and 2 for AMD because I don't know which I want. Adding an SSD will cause no issues for the PC right? An additional SSD for your PC will only benefit the PC since its faster than a hard drive and the PC should be able to run just about all games 60+FPS on max except maybe high settings for GTA and Witcher 3. How much research does the staff team do before they update these build guides? In my case, I'm talking about the graphics card. We are always watching the market trends and gpu availability. Are you going for good GPU's or just cheap ones? The GPUs selected are the correct choice for both price and performance at each budget. Any other options other than the GTX 1060? something as good or little better then and rx 580. Even if its little more expensive. 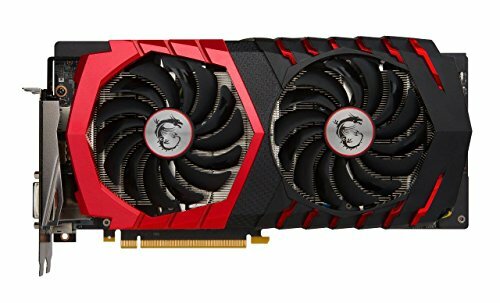 Im very new to this and I'm told rx 580 is forsure better then gtx 1060 but can't find one obviously. So if i had to spend a little more that would be fine and would like some recommendations, thanks! If you don't mind used products you could probably find a GTX 980 (Between GTX 1060 and GTX 1070 Performance) at a decent price like under 300$ that would be a great alternative. How well could I run Rainbow six seige on this PC? This will be my first PC that I have built. I would like to start streaming games such as Overwatch. What monitor/ dual-monitor would you recommend getting that's good, but can be bought for a cheap price? Pretty good selection. I think I'm going to use this as a starting point for my build, except switch to 16GB of RAM, a hybrid HDD, and pare back the video card to a 3GB GTX 1060. I have the same build but insteadd of the CPU in this part list I have a Intel Pentium G4560 3.5GHz Dual-Core Processor. If I were to upgarde my cpu to lets say an i5 or even i7 will my pc then turn into a much much better one? Is it necessary to install additional coolers/fans? r/pcmasterrace seems to suggest adding one with similar builds, and I don't understand why, especially considering the absence of one here. I'm curious why there isn't a cooler/fan listed here. Pretty much every other build guide I've seen includes one. This build uses the stock cooler. Ah, missed that in the description. Thanks! will this run Rainbow Six Siege at 1080p 60fps? Hi im new to building PCs, this will be my first build and i had a few questions. Is the CPU for this build good for video editing and rendering videos? Can i get 16gb of ram and still have it perform properly? How high of graphics can i run? Currently my PC cant play Dishonoured 2 at low, how would this handle it? Do i need an optical drive? And if i get one would it work with this build? The CPU is great for video editing and rendering. This PC should be able to handle just about all games max settings 60+FPS except it for games like GTA and Witcher 3 you may need to turn down the settings to high. The Ryzen 5 1600 is a fantastic CPU for streaming. As for performance, at 1080p it should be able to handle all games max settings at 60+ FPS but you may need to put GTA V at high settings to achieve 60 FPS. Yup, the motherboard does not include one. How well would 16 GB of RAM work with this build? I'm very new to all of this and don't want to put the computer under too much stress. More ram does not stress the build, don't worry haha, you could even put 128gb of ram if you wish (maybe not with this motherboard). However, are you sure you really need those 16gb of ram? I you do, go for it! What motherboard would you suggest? How does a motherboard affect performance? I'm going to be using this computer for Fallout 4 and Battlefield 1, and I'm unsure if 8GB is enough RAM. The mobo itself does not affect performance, but the features of the mobo can improve the perf : overclocking the CPU or the RAM, etc. If you cam afford the 16gb ram, go for it. I think Battle Field 1 can be ram hungry. Also, be sure to take 2800 or 3000 Mhz ram with a ryzen cpu. The mobo in the part list is good enough. I don't think you really need a cpu cooler since the one included with AMD cpu is good enough except if you want to overclock a lot. Also for what are you planning to use this pc? oh ok thanks i just put that there because i didn't know if the Ryzen 5 came with its own cpu cooler, i want to use the computer for lite gaming and school work. You can remove the thermal paste as well. If you want a responsive and fast pc, you could add a 120gb SSD for some more $. No problems for school nor for gaming. You'll be able to acheive 60fps in medium to high settings on new games in 1080p. i have the dell u3011 30" 2560 x 1600 resolution. will this build be able to run the pixels? I like to edit videos as well as play games. Would this cover both and make rendering times decently fast? Or should I add an SSD? Can i replace the 2tb HDD with a 1tb HDD and an SSD? if so how big should the SSD be? I'm trying to find a video editing pc would this work with 1080p video? want to go with Ryzen 5 1600x any recommendations for a cpu cooler to buy with it. I'm a new builder, so I hope these aren't dumb questions. This looks like high value build with components that aren't the absolute newest. The total cost of the build will need to include a network card, a display, an operating system, and a keyboard, right? Anything else? Is there anything I won't be able to do using a 6 GB video card instead of 8 GB? How big a deal is getting the HDD instead of a SSD like the more expensive builds have? How big a deal is only having 8 GB of RAM rather than 16 GB? If you had to improve one of these, which would you do first? 8 GB video card? SSD? 16 GB memory? So i am sorry if i get anything wrong. I am relatively new to the scene as well. 1st of all, yes it will need to include things such as a mouse, keyboard, and monitor. If you do not want wireless wifi, no need to add a network card. I am pretty sure that there is somewhere you can plug an ethernet cable into it. 2nd: there are a few good videos on youtube i believe. If you want the most reliable sources, look for someone with a lot of subs. 3rd: 6gb of vram is quite enough i believe. 8gb of vram doesnt make a huge difference, and wont for a while. Maybe some really high end work(not gaming at all) would be affected by it. I dont think the average consumer should worry about it currently. 4th: i have no personal experience with it, but from what i have seen, an ssd is great, but not necessary. It makes everything smoother, and 240gb ones are only around 80$. Okay to throw on top of all of it. 5th: 8gb of ram should be enough for most games. I have seen that battlefield 1 and Player Unknown Battlegrounds need more, but for other games and other light uses it is fine. Only get 16gbs if you are doing video editing. Finally, if i had to improve one, i would first of all, throw in an ssd, and order it from the start so you can install windows on it. Second, i would buy another set of 2x4gb ram sticks, or upgrade the current 2x4 ones to 2x8. I believe in a few years 8gb will be not enough. Finally, after that maybe upgrade gpu to something like a 1070, or wait for amds rx vega cards. But if you are okay with longer waits for loading games and windows, and are okay with turning down a few settings in the future, then only 16gbs of ram is really that important. And right now, it isnt really. Hope i helped, and dont take my word as fact. Im not an expert. SSD help you a lot, so it wouldn't be bad getting an SSD and a hardrive, this is a budget build so going for a 1070 isn't going to be very helpful, like 100-200$ more and a no no on vega card. 16gb of ram is useful for games like battlefield 1 but if you don't plan on having games like that then just get 8gb. I'm considering replacing the GTX 1080 with an AMD RX 580. The website says there are no compatibility issues. Would this work? You would take a fairly large performance loss but it should work. Do I have to worry about overheating? Will i need to consider buying additional ways of cooling with this build or is whats included sufficient? Would upgrading the memory to 16Gb be worth it for this? First time building one and just trying to get the lay of the land. Would the upgrade to 16gb benefit me much on this build ? Does anyone know any mainstream games this PC can run at high settings at 60 fps or over such as Pubg? Would this be able to run dayz standalone? Unable to verify the AMD - Ryzen 5 1600 3.2GHz 6-Core Processor included cooler and the Fractal Design - Focus G Mini (Black) MicroATX Mini Tower Case are compatible. They are compatible. We are adding CPU cooler height for stock coolers and there are some quirks. 2 more questions if u dont mind. i ordered exactly whats here. is there anything else i need to buy extra to get my pc running other than the OS. will this also be able to run all the new MMOS thats coming out? thank you very much. Do i need a network card too? The motherboard included in this part list comes with onboard Ethernet. If you want wireless connectivity, you'll need to purchase a wireless network card. oh thanks for the replay. do you know if theres any guide out there on youtube? first time building and im lowkey scared. i hope this computer can run most of the mmos too lmao. I don't know, I'm new to building just like you. I'm hoping to make this my first build but I won't be able to for a while, income isn't in my favor atm. Do i need an optic drive to install an operating system with this build? Would this be a good build to run pubg? From what I have heard, 16gb RAM is recommended for PUBG. Would i need to buy extra things,such as thermal paste or more wires or do i just need the things listed? I NEED TO KNOW THE SAME. Please answer this someone!!!! If you are using the stock cooler then Thermal Paste will be pre-applied. As for wires and cables and also screws, they should be included with your motherboard/case. Hi, is this good for someone who would like to develop games, do some video editing, and some graphic designing? Would it also run modern game titles on good fps? I am currently new to PCs and have no knowledge(very less), and am deciding which budget I should go for as I only have $1000 but need 2x monitor, mouse, headset, keyboard, and some equipment to building the PC. I would appreciate the help, thanks! Hmm...i think it would be okay. If you only have 1000$ to get 2 monitors thatd cut it a bit close, and you definitely would have to get 1080p 60hz. For video editing id say get 16gb of ram. Other than that itll do whatever you want it to, it will run modern games at 60fps pretty easily on ultra or high. I bet you would have an easier time with a budget of 1200$. A decent mechanical keyboard is 70-80$, a good mouse is 50$. Headsets can be 40-50$. This build is around 760$, plus an extra 50-60$ for 16gb of ram. Plus two monitors, around 100-120$ each, or 200-240 total. So the overall cost would be 1200. If you really dont care about peripherals, you can get a cheap mouse and keyboard and headset, which would reduce the cost by 70-80$. Or you could get a gtx 1050ti, which as of now would be maybe 150$ less? It can still do 60fps pretty well. In conclusion, if you are set on staying near the 1000$ mark, get a 1050ti. There arent too many compromises. Or you could try getting 8gb of ram now, and upgrading it soon after. Hope i helped. Is it worth adding an SSD to a build like this? Is there a reason there's no CPU cooler paired with this suggested build? Any compatible and good looking cases that would ship? Can anyone recommend a SSD I can put into this build? Crucial - MX300 275GB 2.5" Solid State Drive This is what I'm getting. I mean I'm no expert but the reviews look really good lol. Hi, I have purchased all the parts from this list and am waiting for them to arrive, however the motherboard has arrived and I have been reading through the manual. Is this build complete? Or should I purchase fans to cool the pc, or is it complete the way the above shows? Thanks! The CPU and the case somes with fans, you only need to connect them to the motherboard. can this run vr ? Only the performances will be hurt. However, pairing a r5 1600 with a gtx 1050 is kind ok strange... your CPU will probably be taking some vacations on the beach while your GPU would be running at 100%. Though, you can still go for it if you want to keep the CPU for longer then upgrade the GPU in a year or 2. Easily. If you want more RAM you need to get a 2x8GB kit, the motherboard only has two RAM slots. The R5 1600 matches or beats the 7600k is just about every game. So I'm okay with understanding most the the hardware specs, but where I'm not so good is gauging the type of games able to be played proportional to the PC's specs. For example, would I be able play overwatch on high-ish settings with this build? But maybe need to make a few upgrades to play games like Doom or Destiny 2? Is their like a quick PC requirements/game tier list for me to look at to get a better understanding of which type of games require higher PC specs? Would I need to purchase a after market fan for the CPU? What do you mean by RGB? Sorry, new to all of this. First build. It just doesn't have a LED ring around the fan that glows different colors. Pretty much, you would need to spend a lot more to get a better GPU, and getting a better CPU wouldn't do much unless your doing Video Editing or Rendering. Will there be a new "modest build" coming out soon? I am new to all this and have been told that buying from older part lists can be a bad thing when it comes to performance for price. Would buying this same list be fine? Also I like to do a lot of photoshop and video editing and want 16gb of ram, any you can recommend that's good quality but not too expensive? I just built a computer using this exact builds but I'm worried about temperatures. Is only 65ish degrees F in my room and my CPU sits at 55C idle and runs around 65-75C when gaming. I haven't overclocked it or anything, should I be worried? Could anyone recommend 16gig of ram and a 256 ssd to go with this please? so what is this pc going to be used for is my question, you would probably save some more money just getting a I5-7500, and probably get a 750 watt, and I don't see why you need 2 TB of space. It's not bad, but it could use changes, gaming combos are really good with I5 and the 10 series from what I've heard. If you are really a game junkie, it would make sense to have around 2 TB of space. Games nowadays are around 80 GB (a lot) so that could hold around 25 AAA titles (and maybe a few indies). Eh yeah, I guess so. But IMO I think 1 TB is good enough, I mean half of the games I play don't require a lot of space :P but I see why now. The R5 1600 can often reach 3.9-4GHz with adequate cooling and has been known to reach 3.85 on the stock cooler. Pretty amazing, right!